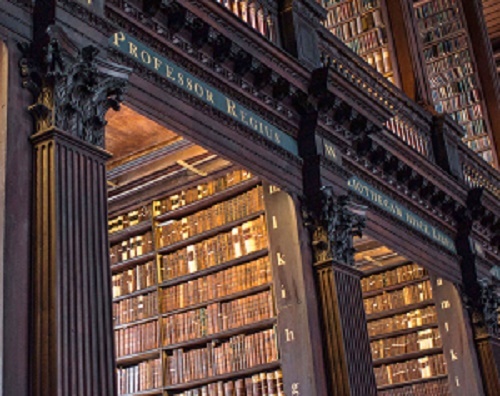 The following suggested books concerning the history of the Reformation are listed here because they were not written for professional-academic historians, but they still provide good content and limited delving into the technicalities of doctrines debated during the sixteenth century. The titles selected have been chosen mostly because they provide panoramas of their subjects, but some of the books zoom in on more limited areas of the scene. Most of the books have been read by the author of this site, but a few have been used only for reference and selected reading. Please note that some of the book cover images have more than one version available online, so the one that appears to be the most recent has been selected. 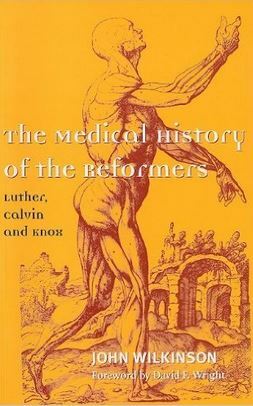 A book that might seem to be an unusual one to start the list with is, The Medical History of the Reformers, Martin Luther, John Calvin, and John Knox, by John Wilkinson, foreword by David F. Wright, The Handsel Press, 2001. This title provides the historical-medical analysis of John Wilkinson of the Royal College of Physicians of Edinburgh regarding the physical ailments of the three reformers along with a diagnosis of the cause of death for each one. There is a limited amount of specifically medical terminology, but sickness cannot be discussed without some diagnostic, biological, and pharmaceutical language as well as some painful and fearful symptoms. The book is thoroughly documented and an enjoyable read, well, as enjoyable as reading about disease could be for those not in the medical professions. 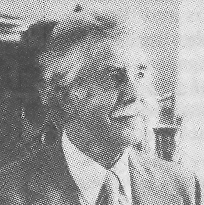 Physician Wilkinson has also written textbooks on Christian Ethics in Healthcare and The Bible and Medicine, which might be good sources for those concerned about these issues often found on the front pages of current newspapers. Stephen J. Nichols of Ligonier Ministries has three publications that are particularly helpful for Reformation history. 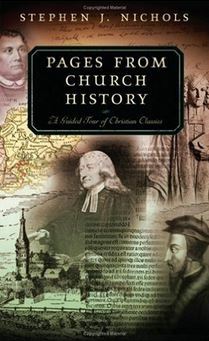 The first title is Pages from Church History, 2006, which not only provides a brief survey of the Reformation with short biographies of Martin Luther, John Calvin, and John Bunyan, but it also summarizes the ancient, medieval, and modern eras of church history via their significant personalities. 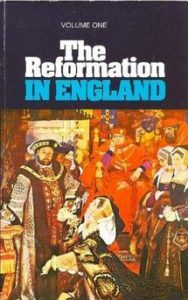 Thus, if you own this book you not only have Reformation era information but also a bit of history about the other periods for reading and reference. 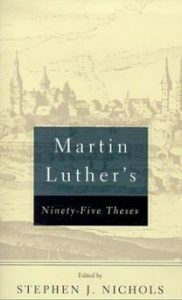 The second title, Martin Luther, 2002, has three parts—first, is a biography of forty-three pages that provides the essentials of his life; second, is “Luther the Reformer,” which provides discussion of some key doctrinal issues and controversies during his life; and third, is “Luther the Pastor,” which considers his hymns, sermons, and ideas regarding the marks of a true church. Both Pages from Church History and Martin Luther are volumes in P&R’s Guided Tour Series, which includes in each book a bibliography, illustrations, and chronological tables to help the reader navigate the subject matter. Dr. Nichol’s third title is the pamphlet, Martin Luther’s Ninety-Five Theses, 2002, which includes a brief biography of Luther that emphasizes the significance of the theses and the use of indulgences in Roman Catholicism at that time. A helpful aspect of the booklet for non-professionals is that in many cases the individual theses are annotated with helpful comments that explain the historical context and meaning of the thesis. If you are interested in a biography of John Calvin that was composed by one of his contemporaries there is one available by his close friend and colleague in ministry, Theodore Beza (1519-1605). The particular edition that I have is a reprint of Henry Beveridge’s translation of Beza’s biography that was published in the first volume of The Calvin Translation Society’s edition of Tracts Relating to the Reformation, Edinburgh, 1844. 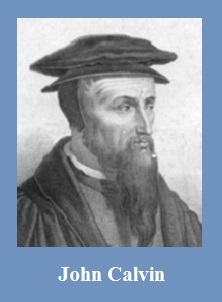 My reprint copy is titled, The Life of John Calvin Carefully Written by Theodore Beza Minister of the Church of Geneva, The Westminster Press, 1909. The book covers Calvin’s life from birth to death in 115 pages and would initiate anyone interested in his life with a good survey of important events. The text of Calvin’s last will and testament is included possibly because Beza witnessed the will as the dying Genevan expressed his wishes to the local public notary. There have been several versions of Beza’s biography of Calvin published over the centuries with some having the full text, others have been abridged editions, and some have been revised, so be careful if you want the full text. The Beveridge edition that I have is not illustrated but some reprints have included illustrations and appendices. Even though the Beveridge edition is over 150 years old, it is not difficult to read and e-reader versions are available. A purpose of the study of history is to learn from the past and apply its lessons to the present. 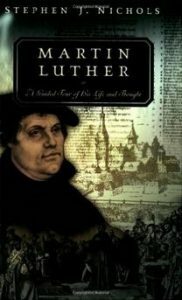 Two books in particular are especially helpful for applying Protestant Reformation principles to today. 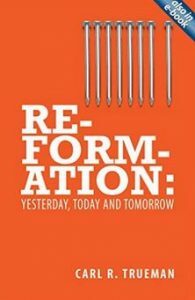 The first is, Reformation: Yesterday, Today and Tomorrow, Bryntirion Press, 2000, by Carl R. Trueman of Westminster Seminary, Philadelphia. 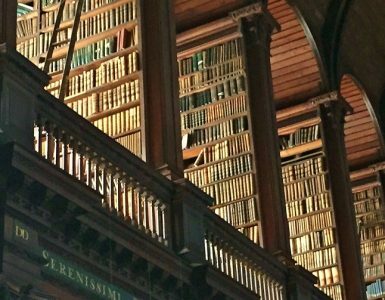 Dr. Trueman emphasizes the Christ centeredness of Reformation theology and the importance of preaching the Word. He is concerned that as the church today faces challenging and difficult choices, the Reformers and their teaching should not be forgotten. The broad definition of the Reformation used by Trueman is, “The Reformation represents a move to place God as he has revealed himself in Christ at the center of the church’s life and thought” (p. 15). The text of each of the four chapters of the 99 page book is from lectures delivered in 2000 to a conference sponsored by the Theological College of Wales. 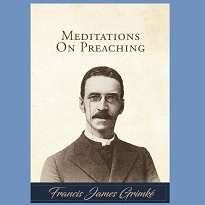 The second book that takes the lessons of the Protestant past and applies them currently is by the pastor of Independent Presbyterian Church, Savannah, Georgia. 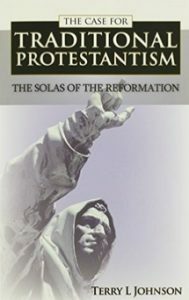 Terry L. Johnson’s book, The Case for Traditional Protestantism: The Solas of the Reformation, Banner of Truth, 2004, reviews the importance of sola Scriptura (Scripture alone), sola Christo (Christ alone), sola fide (faith alone), sola gratia (grace alone), and soli Deo gloria (glory to God alone) as the guiding principles of the Reformation and calls for the church to return to these foundational doctrines today. The book concludes with an appendix of statements on the doctrine of justification from Protestant confessions. Two titles by W. Robert Godfrey of Westminster Seminary, California, are good resources for reading about the Reformation. 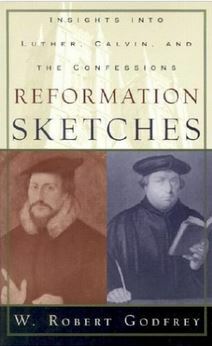 The first is, Reformation Sketches: Insight into Luther, Calvin, and the Confessions, P&R, 2003. In addition to Luther and Calvin, Dr. Godfrey also brings into his discussion Peter Martyr Vermigli (Italian), Philip Melanchthon (German), and Zacharius Ursinus (German), among others. The book brings together the lives of these reforming leaders and their debates among themselves and with Rome. Part 3 emphasizes the importance of confessions of faith including the Heidelberg Catechism, Belgic Confession, Westminster Confession of Faith, and the Canons of Dordt. Dr. Godfrey’s second book is published by Crossway and is titled, John Calvin: Pilgrim and Pastor, 2009. 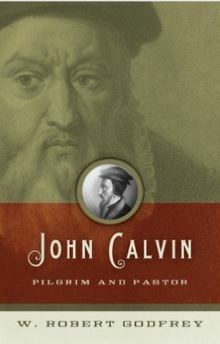 The volume is divided into two sections with the first one addressing pilgrim Calvin, which takes his life from birth, through his leaving Geneva, to his exile in Strasburg, and then the second section picks up the story with his return to Geneva where he would live out his days as pastor Calvin. The conclusion of the book reviews his humility, life, influence, and death. Turning to the Reformation in England and Scotland, James E. McGoldrick of Greenville Presbyterian Theological Seminary has published two books that zoom in on the influence of Martin Luther. 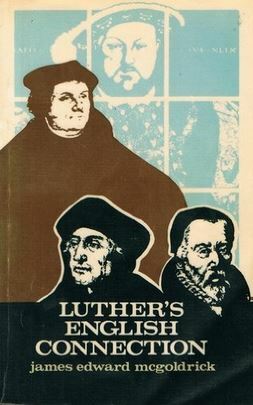 The first, Luther’s English Connection, 1979, which emphasizes Luther’s influence in England by Robert Barnes and William Tyndale. 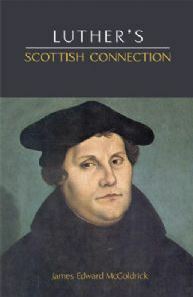 Dr. McGoldrick has also written Luther’s Scottish Connection, 1989, which dedicates a considerable portion of its text to the brave and tragic reformer, Patrick Hamilton, who died at the young age of twenty-eight and became a martyr of the Scottish Reformation. 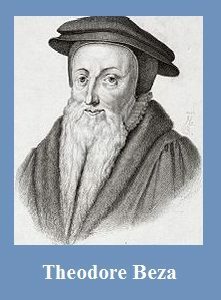 For a personal perspective on the Reformation in Scotland, John Knox’s History of the Reformation in Scotland published in the first two volumes of David Laing’s 1840s edition of Knox’s works provides the Reformer of Scotland’s account of the events. 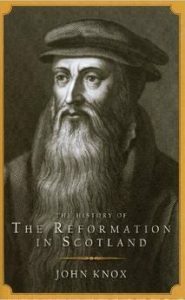 Knox’s history has been published in several editions over the years including a paperback edition by Banner of Truth titled, The History of the Reformation of Religion within the Realm of Scotland. Reading Knox’s text may require some moments of interpretive pause because of differences between the sixteenth-century English used in Scotland and current English, however the terminology is not a problem but instead provides a feel for the age of the events of the Reformation. Though dated, a general recommendation would be any of the works of J. H. Merle D’Aubigné, who was a biographical subject of Presbyterians of the Past recently. D’Aubigné was concerned to revive interest in the Reformation and his narratives are positive in tone. Reviewers of his works in his day were sometimes critical of what they thought was a lack of balance in his perspective. In some cases, his works have been reprinted in part or in whole. Banner of Truth has published a lovely two-volume set on the English Reformation from his works. For those particularly interested in John Calvin (1509-1564), which is something one might expect of readers of Presbyterians of the Past, the quincentenary of his birth in 2009 produced several books, however, many of them tend to be more doctrinally technical and academically oriented with the associated assumed knowledge of the basics for their readers. The Calvin Quincentenary site, www.calvin500.org, has several publications available. Also, P&R has published a series of titles edited by David W. Hall in celebration of Calvin’s 500th.